A woman passenger was interrogated and grilled for hours at Delhi Indira Gandhi International airport after she uttered the word bomb while she was passing through the security check. The passenger who had arrived hours earlier before the departure of her scheduled flight could not board her fight as the security agencies grilled her for hours. 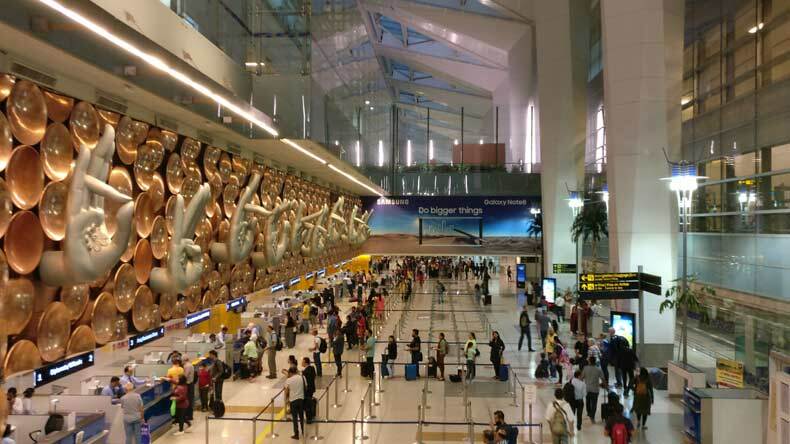 A woman passenger was interrogated and grilled for hours at Delhi Indira Gandhi International airport after she uttered the word bomb while she was passing through the security check. The passenger who had arrived hours earlier before the departure of her scheduled flight could not board her fight as the security agencies grilled her for hours. According to Hindustan Times, the woman passenger had arrived at 1AM for a 4:55AM flight. Upon reaching the security check, the passenger asked,”Aap kya check kar rahe ho, mere paas bomb hai?” (What are you checking? I have a bomb?)”. It was after these queries, the security officials at the airport were alerted and the passenger was interrogated and grilled for hours. The security official whom the passenger asked “What are you checking? I have a bomb?” immediately alerted his seniors following which she and her co-passenger were taken for the interrogation. The passenger was thoroughly interrogated, her baggage was checked but nothing was found. Following a thorough checking and grilling of the passenger, she was handed over to the local police. The local police after going through the case and taking all precautionary measure let the passenger go. However. she missed her flight. The security officials also checked out the flight which this woman passenger had to board as the security officials could not take any risk when lives of several other passengers matters. Though, following these security procedures, the flight also got delayed but clearing all the security procedures for the security staff was of prime importance.